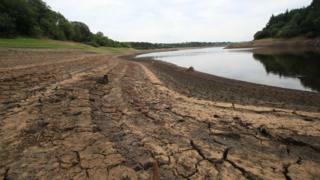 Climate change: Will England have enough water in the future? England will not have enough water within 25 years to meet the needs of its population, according to the head of the Environment Agency. Sir James Bevan warns that this will be due to the impact of climate change, and the fact that the number of people in England is increasing. By 2050, it is thought that there will be eight million more people in the country. Sir James - who is head of the organisation responsible for protecting the environment and wildlife in England - is expected to announce the news in a speech in London. How does my diet affect the planet? He wants to see wasting water become "socially unacceptable" and is expected to warn that "unless we take action to change things, we will not have enough water to supply our needs". He does not think it is just up to water companies and rule makers to tackle the issue. Sir James thinks that members of the public all have a role to play too. Currently, people in England use an average of 140 litres of water a day. The environment boss wants to see this figure reduced to 100 litres. What do you think about the issue? 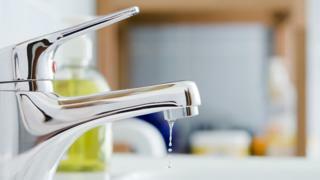 Do you do anything at home to help save water? What things do you think that members of the public can do to tackle this issue? 6/6 On the quiz! First comment yay!